Check out the “Listen Again” feature on Channel Radio’s website home page. Or click on the relevant show below: (please be patient, they may take a while to load). Show 8 – Fun Exercise – discussion from different perspectives, including hints and tips to incorporate activity into your day. Show 9 – Updates on recent events the presenters have been to, Mind Body Spirit, Joe Hoare workshop; Kent Healthy Workshop; MS Society Ball & more. Show 10 – All about Sophrology with Florence Parot. Show 11 – Sleep well – a discussion in the studio from different perspectives. 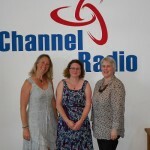 Show 12 – Pilgrims Hospices – how can you get involved in fundraising activities. Show 13 – The Labrynth at Pilgrims Hospices in Canterbury. Show 14 – Frances Beaumont of Dyspraxia UK explaining Dyspraxia. Show 15 – John Tipping, The Dyslexic Entrepreneur, explains his remarkable story. Show 16 – Janette Beetham, Right Resources Ltd, tells us how dyslexia affects adults in the workplace and what help is available to employers and employees as well as the self-employed/unemployed. Show 17 – Lynn Marchant chat with us about how the wellbeing of your business relies on the wellbeing of your staff. Apologies: Due to a technical problem on the day, the recording starts about 15 mins into the show. Show 18 – Updates from guests we’ve had on the show, events, charity fundraisers plus exciting news about – Jessie Pavelka tune in to find out what! Show 19 – Alison Carter of No Place Like Home discusses the inspiration behind her bespoke Later Life Support Company & her work as a Dementia Friends Champion. 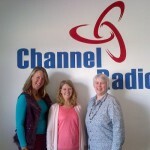 Show 20 – Jane Unsworth ABCSimpleas explains and discusses EFT (Emotional Freedom Technique) with Angela & Jan trying it out on air! Show 21 – Brenda Cameron shares how “The Lightning Process” helped her recover from ME and hear how she now helps & trains others with this great technique. Show 22 – Vibeke Francis, of White Horse Reiki, explains Usui Reiki in more depth. Show 23 – Cathy O’Mahoney explains how her Company Deal Mediation Services assists organisations gain agreement and avoid tribunal costs. She also has set-up a unique service under the banner, Divorce Nicely. Show 24 – Diana Saunders & Lana Ay from Diana’s Supported Holidays tell us all about the fully supported holidays they offer adults with learning disabilities. Show 26 – Simone Lantain of Wholeness Technique explaining what The Alexander Technique is and it’s benefits. Show 27 – A truly inspirational woman, Lynda Goodier of Bay Tree Place Cancer Support. Show 28 – Rory Murphy joined us from Wellbeing People telling us all about The Wellbeing Symposium event on November 13th 2013 at the Kent Event Centre, Detling. Show 29 – The delightful Paul Stevens chatting with us about Future Life Properties as well as his other work under the title The Pinstripe Medium. Show 30 – the fascinating Tim Box from Headway Hypnotherapy, telling us all about Hypnosis, plus Angela’s highlights with Men of Kankku and her relaxed stay at the Cedar Manor Hotel. Show 31 – Martin Feaver of The Mind Body Connection joined us & shared some great tips and exercises re: confidence and finding out what we “really” want. Show 32 – Carol Macey (formerly Ring) of Take the Rainbow, who is a Life Coach specialising in Emotional Wellbeing. She also works out of The Abbey Place Clinic. Show 33 – Anne Jirsch joined us to chat about Future Life Progression & her new book “Create your Perfect Future“. Show 34 – Marcia Tillman and Michelle Mulliss joined us from Abbey Place Clinic to chat about all things Fertility related, including Angela having acupuncture live on air! Michelle also owns Kent Acupuncture Health. Show 35 – Sasha MacDonald joined us to explain all about Bach Flower Remedies and how they work and help with emotional wellbeing. Show 36 – Simon Drury chatted with us and explained all about his business Art of Invention. Show 37 – Highlights and interviews from the Wellbeing Symposium Jan & I attended in November courtesy of Wellbeing People. Show 38 – A review of our debut year Part One with Jan Mulligan. Show 39 – More pause & reflection on our debut year Part Two with Angela Brier-Stephenson. Show 41 – Kerry Hales, The Complete Coach plusVIP guest Taylah Schrader and exciting news re: Australia Who Cares Wins roadtrip! Show 43 – Tim Box, Remedial Hypnotist, and update on what’s he doing and where. 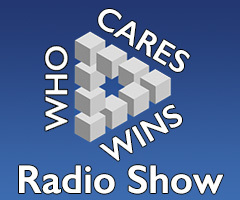 Show 49 – Happy Birthday Who Cares Wins – we are 1 year old, join the celebrations. Show 51 – Julie Taylor, from Time2Shine Hypnotherapy joined us to discuss Hypnobirthing and much more. Show 52 – Sherrill Hawker from Beating Bowel Cancer charity. Show 53 – SPRING clean your mind and body, top tips from Angela plus here’s her Spring_Acronym summary. Show 53 repeat – SPRING clean your mind and body, top tips from Angela plus here’s her Spring_Acronym summary.